I’m big on a visualization of my goals on a vision board I see every day. Something I have to keep telling myself is that there’s nothing magical about January 1st. We all put so much pressure on ourselves to start our resolutions and get on top of them right at the beginning of the year. It’s okay if you don’t! Start your goals on March 19th or September 28th. Pick a day. That’s your Day 1. 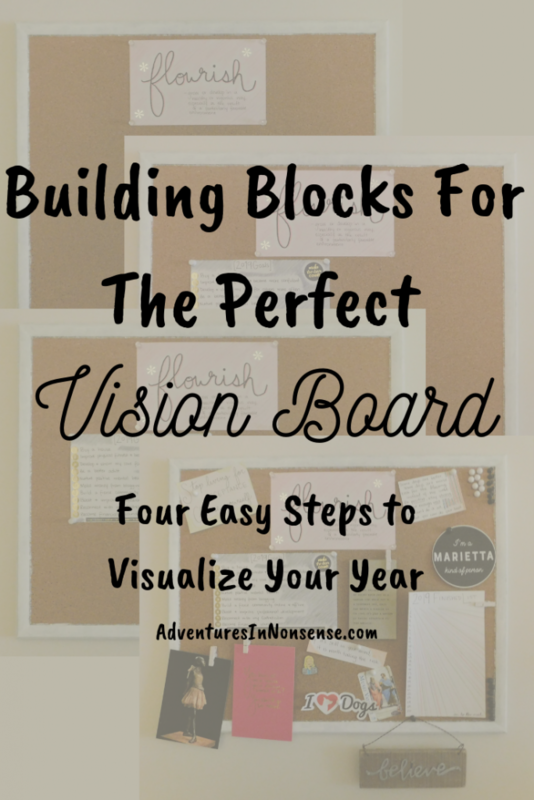 With a vision board, you can visualize what you want to achieve. Everyone has their own way to approach a vision board. Some will take aspirational photos from magazines. Some will write out their goals. However you do it, remember to do it for you. 1. Your focus for the year. Pick a quote. Pick a word. Pick an image. Just select something for your vision board that will bring it all together. 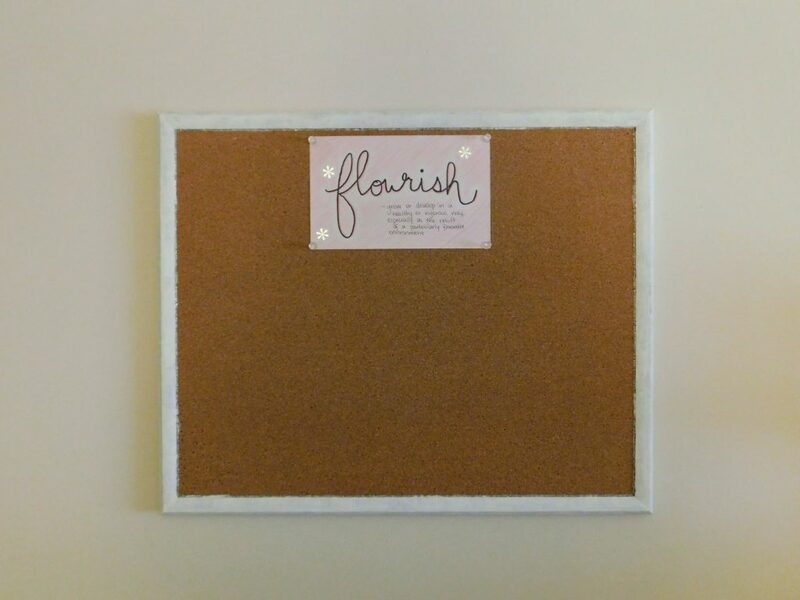 For me, it’s my word of the year: flourish. Write out your goals! Countless studies have shown that you’re more likely to achieve your goals if you write them down. You’re even more likely to achieve them if you share them with others. Drop your goals in the comments! 3. Anything that will help you track. I’m big on tracking the books that I read. 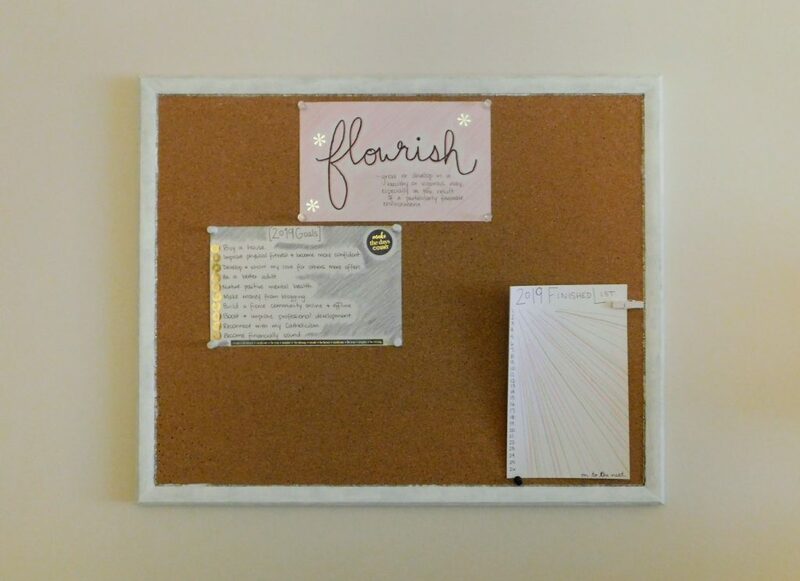 Thus, I added a corner of my vision board for me to track the books I read, when I completed them, and their rating. Maybe you want to track your savings or taking a vitamin every day. Maybe you’re tracking your weight in an effort to get healthier. Whatever it is, keep yourself accountable with something you’ll see every day. 4. Fill in the rest! I enjoyed adding some photos and quotes. 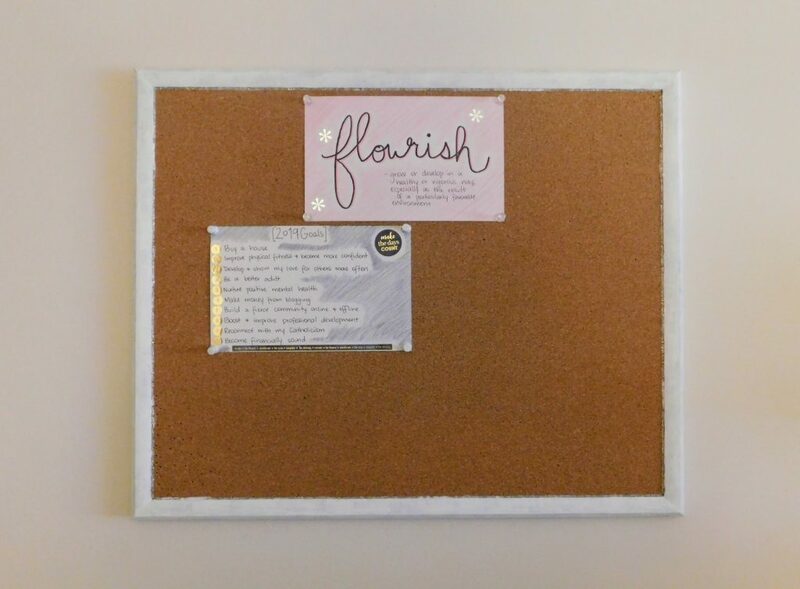 When I look at my vision board, I want to see things that make me happy! Add whatever you like. The beauty of a vision board is that there are no rules. You’re creating a space for you to visualize your goals and where you want to be in a year’s time. If you’re someone like me who now does a vision board every year, I do actually have one rule. START FRESH. Don’t leave certain aspects from last year and add for this year. It’s a new year with (probably) new goals. Clean slate. 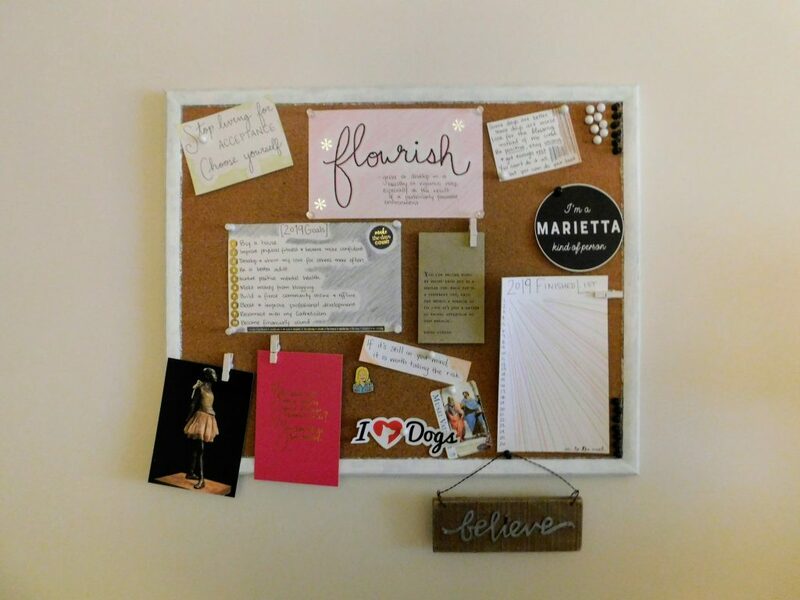 Now, show me your vision boards! You have the perfect building blocks, so let’s share for accountability.